It was a bit of a surprise earlier this year when Roku announced that it would be selling wireless speakers. The popular maker of platform-agnostic set-top boxes is certainly no stranger to home entertainment, but the idea that it would soon start to compete with Sonos, well, that seemed crazy. Having spent some time with the new soundbar alternative, I can say that Roku is doing something more intriguing with the Roku TV Wireless Speakers. It’s built a custom sound system that works curiously well with Roku TVs. The only downside is that the speakers don’t really work at all with any other TV or wireless audio system. Innovation is a weird beast, I guess. So let’s clear something up right way. The new wireless Roku speakers aren’t quite a Sonos substitute. The $200 (£157) Roku speakers connect wirelessly to TVs that run on the Roku operating system, and they work almost exclusively as a soundbar alternative. 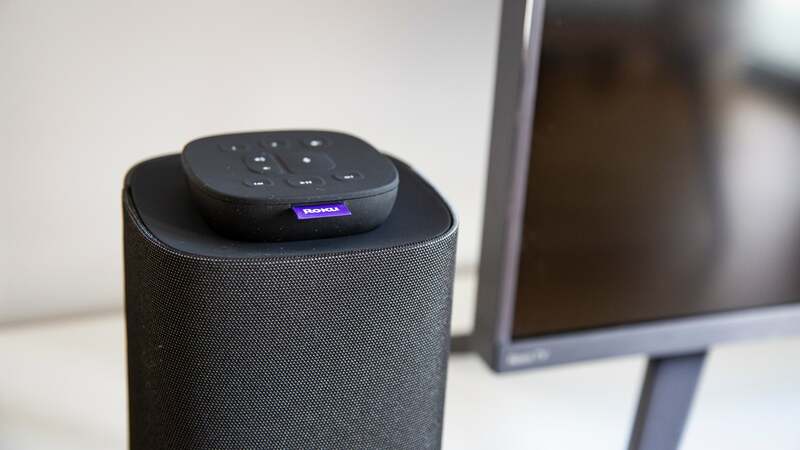 Although the speakers also come equipped with Bluetooth and can be used with a smartphone, laptop, or Bluetooth-enabled TV, they’re really just designed to deliver audio from a Roku TV into your living room. For now, there is no multi-room audio support or easy integration with other speaker systems. 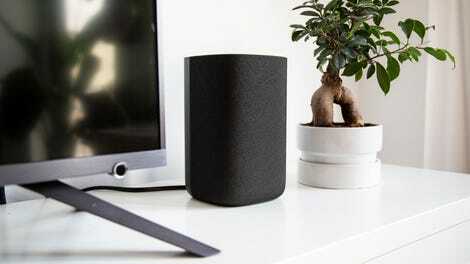 The Roku Wireless Speakers are simply speakers for a Roku TV. This is where I’m left scratching my head. Why on Earth did Roku decide to build wireless speakers that require a Roku TV to work properly? It’s true that the company is lending its operating system to more and more smart TVs hitting the market, but it seems weird to compete in the home audio arena by making speakers that only work with those TVs. And you definitely need a Roku TV. You can’t get the full Roku Wireless Speaker experience with a regular old Roku set-top box or a Roku stick, although you could technically pipe your TV audio to the speakers with a Bluetooth connection. I wonder if this first generation of speakers represents a beta test of sorts for a wider rollout, but I can’t say for sure. When I asked Roku how folks could use the wireless speakers with a Roku stick or box, they said the best thing to do would be to buy a Roku TV. Either way, I’m not here to analyse Roku’s business strategy. I’m here to talk about the new speakers and how well they compare to a traditional cheap soundbar. The short answer is that they work pretty damn well—so well I’d bet that people who don’t own a Roku TV might like them, too. Setting them up with a Roku TV is a breeze. You take them out of the box, plug each speaker into a power outlet, hold down the power button on your Roku remote for five seconds, and then one speaker will let you know that it’s paired. After identifying if the speaker is on the left or the right of the TV, you can pair the second speaker the same way. The whole process takes about two minutes, and they’re immediately configured for stereo sound. When you turn on the TV, the speakers turn on and work great. You can also control the volume with the same button on your Roku TV remote that you used before. 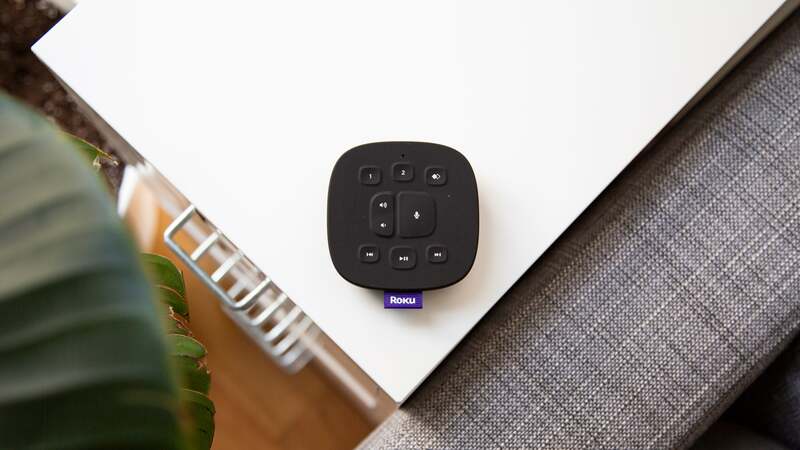 The Roku Wireless Speakers also come with a new Roku Touch tabletop remote that features a couple of customisable buttons and a pleasing, squared-off hockey-puck shape. The fact that you have one speaker on either side of the TV also means that you get a nice wide sound stage, and you can really hear the left and right channels distinctly, which isn’t always true with cheap soundbars. Meanwhile, you can access speaker settings in your regular Roku TV menu without the need to fiddle with a secondary remote or app. In other words, the integration is delightfully seamless, which might explain why Roku decided to make the speakers work only with the Roku TV operating system. The company can control every aspect of the experience. You can use the Roku Wireless Speakers like regular Bluetooth speakers, but that’s the only way you can play outside the Roku TV sandbox. Roku keeps things simple in terms of audio quality. The speakers sound pretty good out of the box, but there aren’t many options for tweaking them to your specific preferences. Connecting the Roku Wireless Speakers gives you just a couple of ways to adjust the equaliser settings. You can choose between three different sound modes that adjust bass output. You can also toggle through different volume modes, which include automatic volume levelling to highlight dialogue and a night mode that also adjusts the bass. Some of these settings can be in the TV’s main audio settings, while others can only be tweaked while you’re watching something. That’s as much control as you get. Want to fine tune the speakers for your space war movie? Too bad. You’ll just have to enjoy that default Roku Wireless Speaker sound profile. Again, the audio quality is pretty good, especially compared to whatever crappy built-in speakers are in your Roku TV. But for now, that sort of standard Roku Speaker sound will have to be good enough, because that’s all you get. You can probably see where this is heading. The Roku Wireless Speakers do have their limits. The bum-shaking engine sounds of the Ranger spacecraft in Interstellar won’t quite shake your bum with the Roku Wireless Speakers, since there’s a limited amount of bass the speakers’ hardware can muster. You also can’t hook up an external subwoofer, since the Roku Wireless Speaker system doesn’t support the option. That means you can also completely forget about upgrading to surround sound. With the Roku Speakers, you get a left channel and a right channel, and right now, that’s it. No customising. No adding on satellite speakers. And definitely no Dolby Atmos. The thing is, this is probably all that a lot of people want or even need. Because of their increasingly slim profile, almost all TVs come with tiny, terrible-sounding speakers, so adding any sort of external sound system will be an improvement. At the same time, the soundbar market is crowded with expensive and seemingly complicated packages that might scare away the casual TV-watcher. Roku Wireless Speakers present a simplified solution for Roku TV owners who want better sound but don’t necessarily care about building a fancy home cinema. And from the couple of weeks I spent with the Roku Speakers, I can confidently say that they’re terrifically idiot-proof. If the Roku Wireless Speakers seem too simple, they’re probably not for you. Heck, if you don’t own a Roku TV, the Roku speakers definitely aren’t for you. But if you do, there are other options for better sound. You can spend £230 on the Samsung TV Mate soundbar, which isn’t wireless and doesn’t sound quite as good as the Roku Wireless Speakers, but it will also make your TV louder. 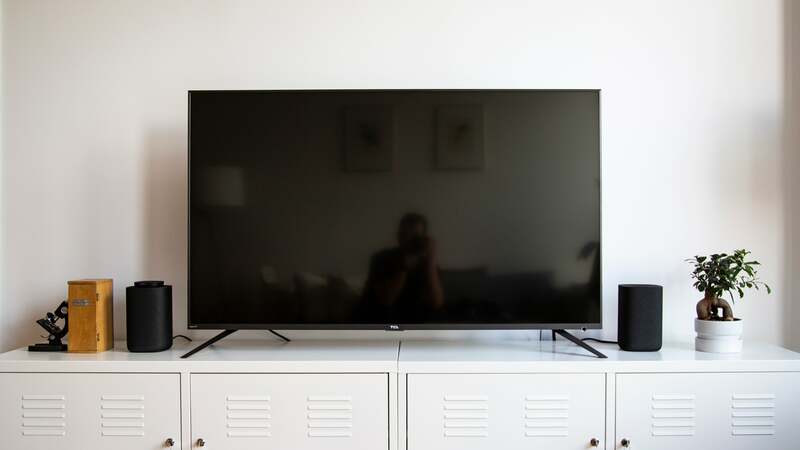 You can spend a little more and get a 5.1 surround sound system from Vizio, although stringing several speakers around your living room is more complex than plopping two Roku Wireless Speakers on either side of the screen. We don’t know what the future holds for this curious new Roku product. It’s certainly possible that Roku will expand compatibility with a software update or an app so that the Roku Wireless Speakers work with Roku set-top boxes and Roku sticks. Perhaps the company will decide to make the speakers more customisable with an equaliser function or even release a new Roku Wireless Subwoofer. We don’t know what Roku’s going to do, but frankly, anything seems possible. The company built wireless speakers, after all. That was a surprise. Who knows what’s next.